This guide will assist you in finding online and print resources on civil rights. This guide will assist you in finding civil rights legal resources available in print and electronically at the NCCU Law Library. According to Black's Law Dictionary, civil rights are individual rights guaranteed by the Bill of Rights, the 13th, 14th, 15th, and 19th Amendments, and legislation. Civil rights are privileges guaranteed to all persons. Certain groups have historically been denied access to privileges like equal access to education, employment, and voting. During the 1950-1970s African-Americans joined together in civil disobedience in order to change societal norms and regional laws that denied them of their civil rights. 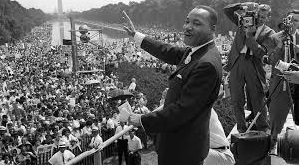 This time period in American history is often referred to as the Civil Rights Movement.